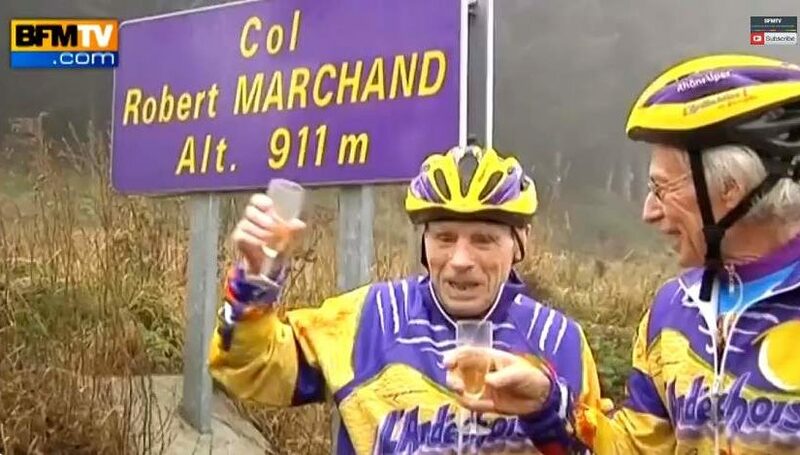 Robert Marchand celebrated his 103rd birthday by climbing the col named after him: “Col Robert Marchand“, in the Ardeche mountains, near Saint-Felicien. Altitude: 911-meter (2988 feet). 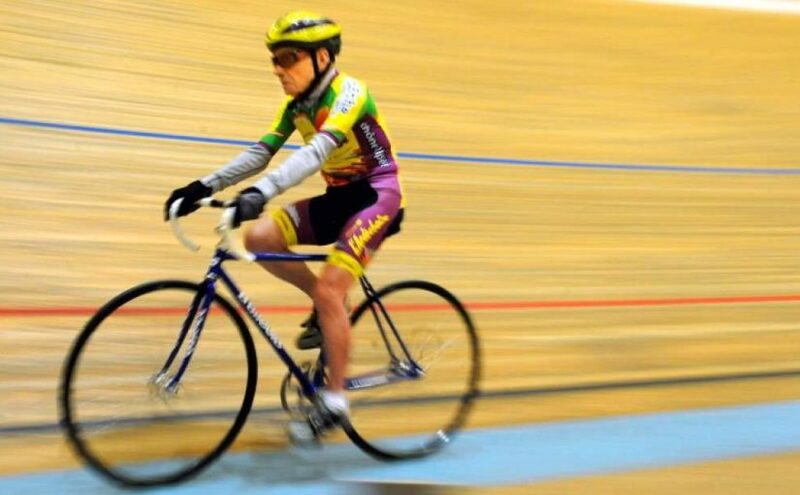 102-year-old Robert Marchand still holds the Hour Record for 100+ age group. Tomorrow, the evergreen Frenchman will attack his own record. Robert Marchand continues to inspire us. 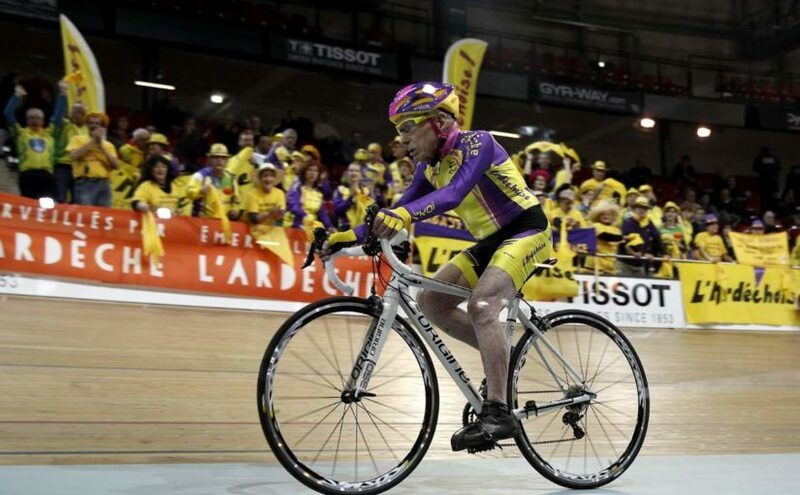 The evergreen Frenchman has set a new goal: breaking his own hour record in over-100s category in January 2014, at 102-year-old. Robert Marchand, who set over-100-year-old 1-hour record last February, also set a record for the fastest 100-year-old to cycle 100 kilometers (62 miles).